So, You are probably wondering what the heck is “EuroKac”. 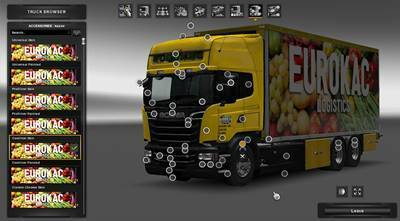 The answer is simple, It is my own fictional company in Euro Truck. At the start, this was my private mod. I decided to release it to the public because I wanted to see if this mod would go well. – Requires Scania R&S BY RJL and nothing else. 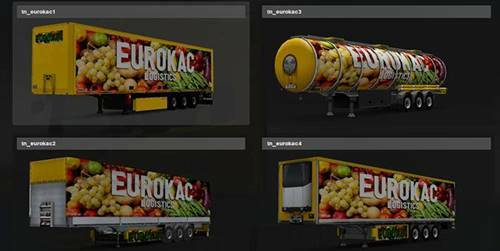 – Liftable trailer axles will be added in the next update.